My struggles started in '02 with my hysterectomy. I put on 100 lbs, developed Type 2 Diabetes and heart disease. I joined Lady of America Fitness where I met Melody. She did a couple of private sessions with me and was just starting a boot camp there so I signed up for her first 5 week class. At the end of the 5 weeks I had lost 1 pound. I got very discouraged because it seemed like no matter what I did, I just couldn't lose the weight. 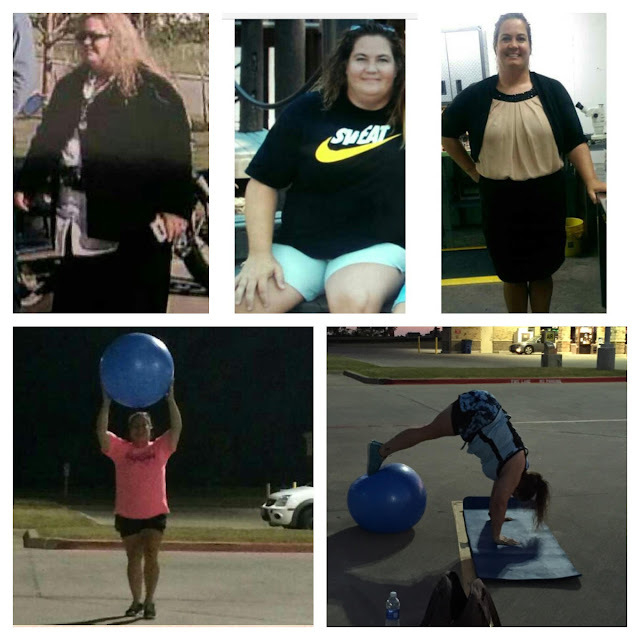 A year later my doctor told me I also had liver disease and had to get the weight off. In 2011 I decided to have Lap Band surgery and I still struggled. Awhile before this, Melody had started Texas Fit Chicks and I was still on her email list. In July 2012 the email said Texas Fit Chicks was coming to Anna, so I decided maybe I needed to add the exercise back in. It wasn't until rejoining Texas Fit Chicks that I started seeing results. Here I am 3 years with TFC in Anna and I am down 93 lbs total. Not only have I lost weight, but I am no longer Type 2 Diabetic and I am also decreasing my chances of a heart attack. Melody and my trainer Trina have saved my life. I can't thank them enough.